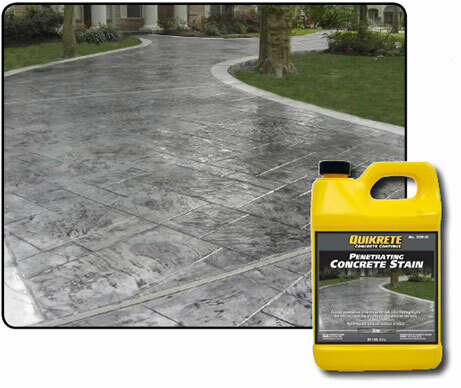 QUIKRETE® Penetrating Concrete Stains (No. 7215-15, -16, -17, -18) opaque appearance provides deep, rich color that is highlighted by the natural variations of concrete and masonry surfaces. Apply at 200-400 sq ft. per gallon (18.6-37.2 m2) coverage will depend on porosity of the surface.